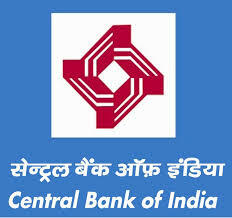 Central Bank of India has published a notification for the recruitment of Faculty and Office Assistant vacancies on contractual basis. Age Limit: Candidates age should not be less than 65 years for S.No- 1 and 35 years for S.No- 2. Educational Qualification: Candidates should possess Post Graduation MSW/ MA in Rural Development/ MA in Sociology/ Psychology/ B.Sc (Agri. )/ BA with B.Ed for S.No- 1 and Graduation BSW/ BA/ B.Com with computer knowledge. Candidates should have relevant experience. How to Apply: Eligible candidates may send their application in the prescribed format and in an envelope should be superscribed as the “Application for the Post of Faculty/ Office Assistant at RSETI Centre on contract for the year” to Regional Manager/ Chairman. Local Advisory Committee, Central Bank of India, Regional Office _______ on or before 05-11-2015.